This has to be said because it weighs heavily on my heart, mind, and soul! Maybe it is because I live in the south and come across a lot of "ignorance" not that it only exist in the south. It's everywhere! People from Mexico, Ecuador, Puerto Rico, El Salvador etc.... DO NOT SPEAK MEXICAN! The name of the language is SPANISH! I absolutely HATE it when someone ask me, "OH, do you speak Mexican?" No dumbass, I speak Spanish! I do not actually say that, but i'm sure one day I will. I recall one point in time when my husband and I had our own company. It was a busy season. Basically, I was the one doing the estimates. I went to a nice house, out in the middle of no where....... did the estimate. They wanted their kitchen painted along with all of their cabinets. Gave them the quote. They accepted and we picked out the colors. One week later, my husband showed up to paint. He did the job and was finishing up some minor details. I received a call. It was from the owners of the house. The woman was bitching and complaining that "this Mexican did not paint everywhere that he was suppose to." Not only did she say this, but kept on and on and I could clearly tell this was a race issue! I told her not to worry that I was on my way over. Little did she know that on route to her house, I called my husband and he told me what she was complaining about and how rudely he had been treated. I walked in the house and the lady is just a moanin' and a groanin' about how if she was paying this much money she wanted it done right and how you can't just leave these "Mexicans" alone because they'll try and cut corners etc....... So, I asked her, "mam, where is the area he tried to cut corners?" #1 NO ONE WOULD HAVE EVER SEEN THIS AREA and I do mean NO ONE!!!! #2 IT WAS IMPOSSIBLE TO REACH. My guess is while my hubs was at lunch, she searched and searched for "something" to get a discount. I told her, "mam, no one is going to see this area. We are a professional company and he has over 15 yrs experience painting, no one will ever see this area and it is impossible to reach." Then my hubs said something to me in Spanish. I answered him back in Spanish. The lady said, "Do you speak Mexican?" I answered, "No, I speak Spanish and this is my husband and I know he does good work. Are you looking for a discount?" The woman backed down and just let it go. About a week later she called back to see if he could pressure wash her house and I told her we were booked solid and she'd have to find another company. I have friends from Mexico, Puerto Rico, Colombia, and Costa Rica. I've heard time and time again about how their countries are the best! They get SOOOO OFFENDED if anyone thinks they are Mexican. WHY?? I had a friend with a daughter. She said, "my daughter is getting mad because some people in her class think she is Mexican. So I asked her, "what's so wrong with being Mexican? Why does everyone get up in arms if they are perceived as being Mexican?" This is the explanation I got. Well, Mexico is so close to the United States that practically any Mexican rich or poor can cross the border. If you are from another country you have to have more money to get here and usually more money means better educated people. Also, I get the feeling that people associate Mexico with drugs. I unerstand that Mexico is in a major fight against drugs. I understand that most of America's illegal drugs are brought from Mexico. Everyone forgets Colombia's production of cocaine which is brought to Mexico etc etc........ I'm not putting blame on any countries. The fact of the matter is there are good and bad people from every country on this earth. People need to open their minds before they open their mouths! poinsettas, chocolate, vanilla, avocados, and chewing gum to name a few. 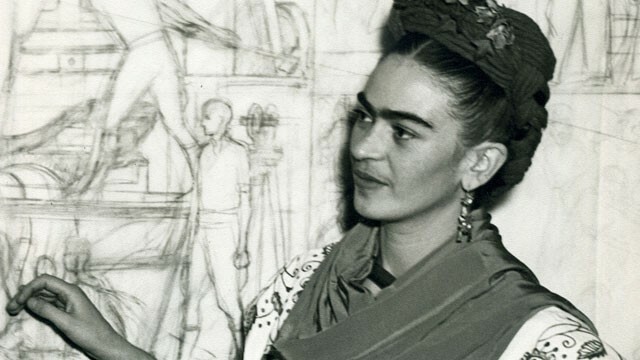 Frida Kahlo contributed to America with her amazing artwork! (born 1943 in Mexico City) is a world famous chemist who contributed greatly to the discovery of the Antarctic ozone hole. invented an early color television system. He received US patent 2296019 on September 15, 1942 for his "chromscopic adapter for television equipment". 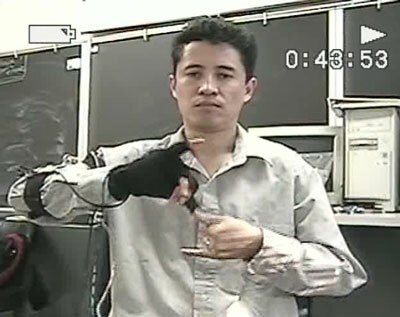 invented the Acceleglove, a glove that can translate sign language into speech. patented processes to diagnose invasive amebiasis, a parasitic disease that kills over 100,000 people each year. patented a method of predicting premature fetal membrane rupture in preganant women. , a Mexican inventor with a lifelong obsession with jet packs, invented the Rocket Belt.